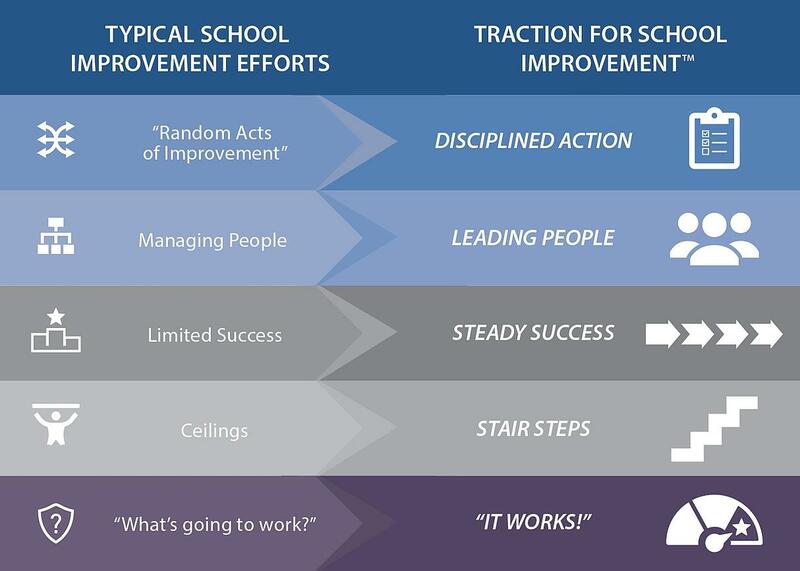 Introducing a school improvement model that helps leaders make bold changes that stick. Here's the challenge with school improvement and turnaround efforts. 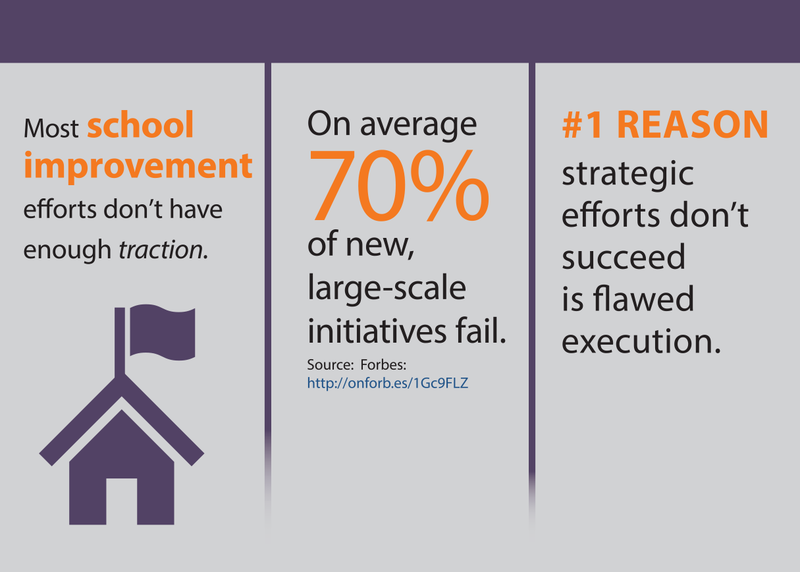 Despite best efforts, the majority of initiatives in schools today fail—70% on average—and don't result in the intended outcomes. What's the main reason? Execution. Unfortunately, good intentions are not enough when it comes to driving and sustaining growth. Insight Education Group has been partnering with schools and districts since 2000 on the things that make schools great—excellent teachers and leaders, demanding curricula, high-quality instruction, and engaged students. 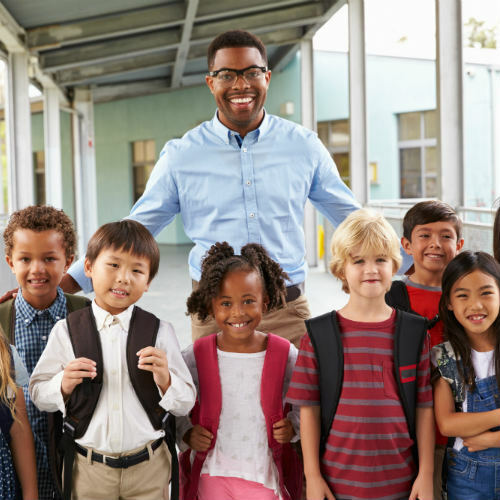 Teacher Recruitment and Retention: Insight offers several supports to help your district or school build your teacher recruitment and retention systems. By prioritizing this work in a new, systemic way, districts and schools are experiencing increased success in finding and retaining those teachers their students desperately need. Boot Camp for Instructional Leadership Teams: Through a three-day professional development training, school leaders—including principals, assistant principals, coaches, and teacher leaders—learn how to launch an instructional leadership team in order to successfully devise, launch, and execute on school improvement goals. Asset-Based Quality School Review: Deep, impartial assessments of district and school performance performed by the Insight team that trigger measurable, impactful, and sustainable change. Learn more about how Insight can conduct a review in your school or district. Schools that execute with uncanny focus, discipline, and accountability have traction. Nine out of 13 receivership schools (70%) moved out of receivership status. Insight’s Full Service Schools (FSS) Model was implemented in 11 underperforming, high-needs middle schools. FSS schools showed the most consistent growth of any set of schools in the district. The percent of students scoring proficient in reading increased by 7% in elementary schools and 14% in secondary schools. With just one year with support from Insight, the school improved from eligibility for state takeover to scores at highest levels based on Tennessee's indicators for statistically significant growth. As former teachers, coaches, school leaders, and district administrators, we've been there. School improvement efforts are really hard. Insight can help. We provide the wrap-around supports that get the results you need when it comes to school improvement. With TRACTION for School Improvement™ (TSI), we can help you and your educators reverse chronic low performance in your schools by focusing on the area where the vast majority of improvement efforts fail: implementation. If you're interested in learning more, complete the form below or give us a call at 800.935.7022 x3. To learn more about how leaders are using TSI to make bold changes that stick and result in schools where students thrive and educators clamor to work, contact us.